Calling all latte lovers! 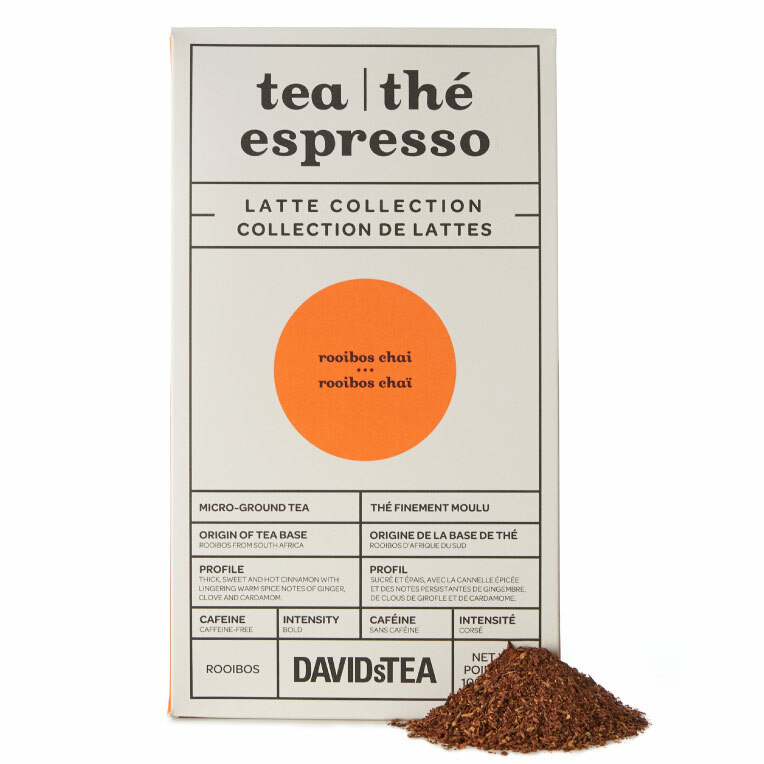 Introducing the Tea Espresso collection. Made of premium teas specially micro-ground for your espresso machine, these full-bodied blends are a foolproof way to make deliciously bold tea lattes, hot or iced. 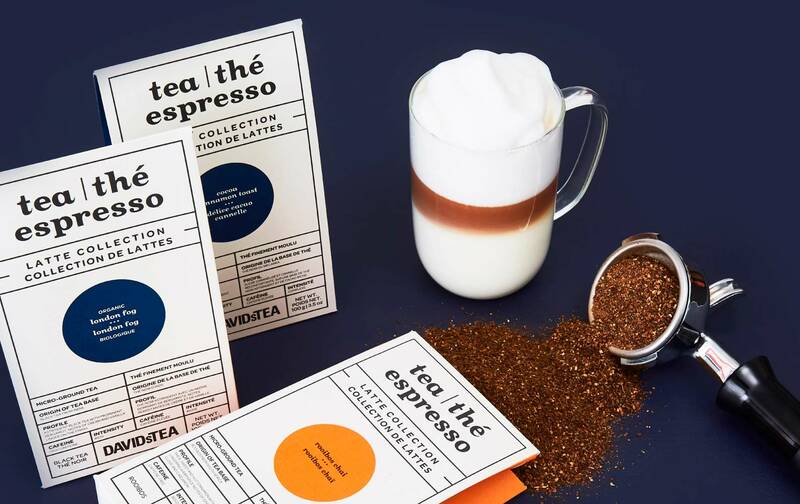 Made of rich organic black tea specially micro-ground for your espresso machine, this citrusy bergamot and vanilla blend is perfect for creating a bold tea-based latte or macchiato pick-me-up. 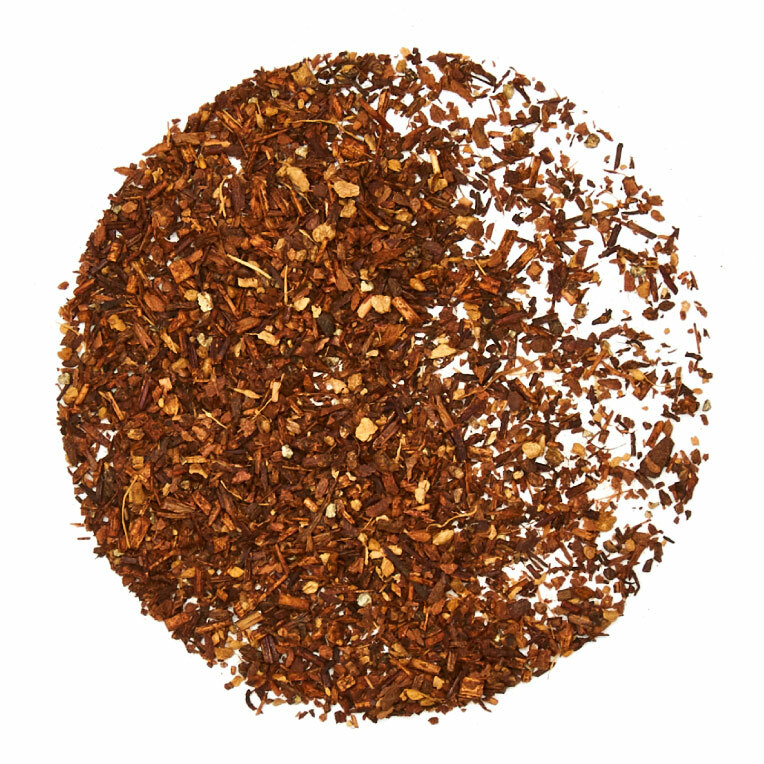 Made of premium rooibos specially micro-ground for your espresso machine, this sweet and spicy caffeine-free blend with warm cinnamon, clove and ginger makes a dreamy chai latte. 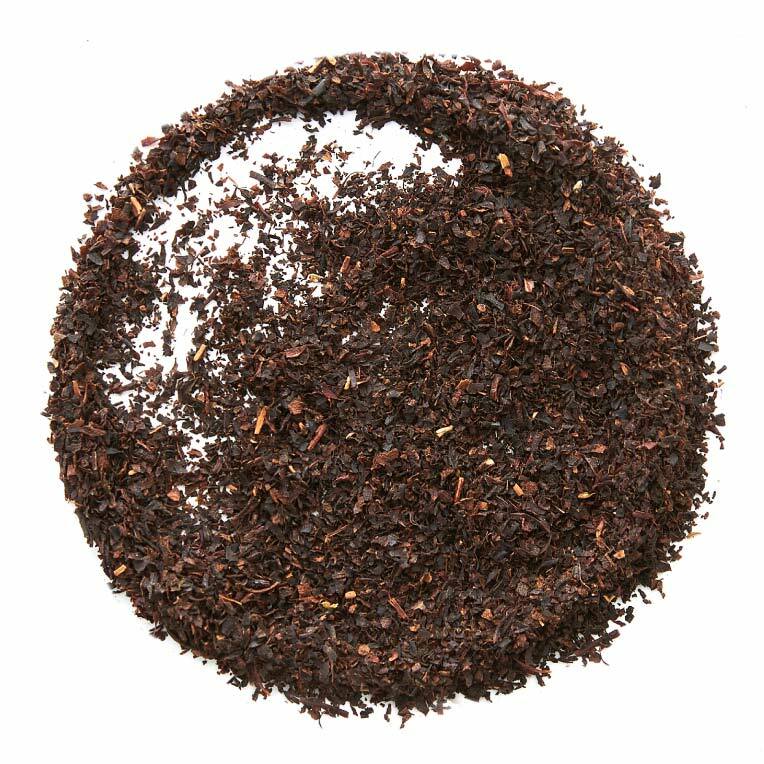 Made of rich black tea specially micro-ground for your espresso machine, this deliciously layered and creamy infusion of cinnamon, cocoa and caramelized sugar makes an amazing latte, hot or iced. 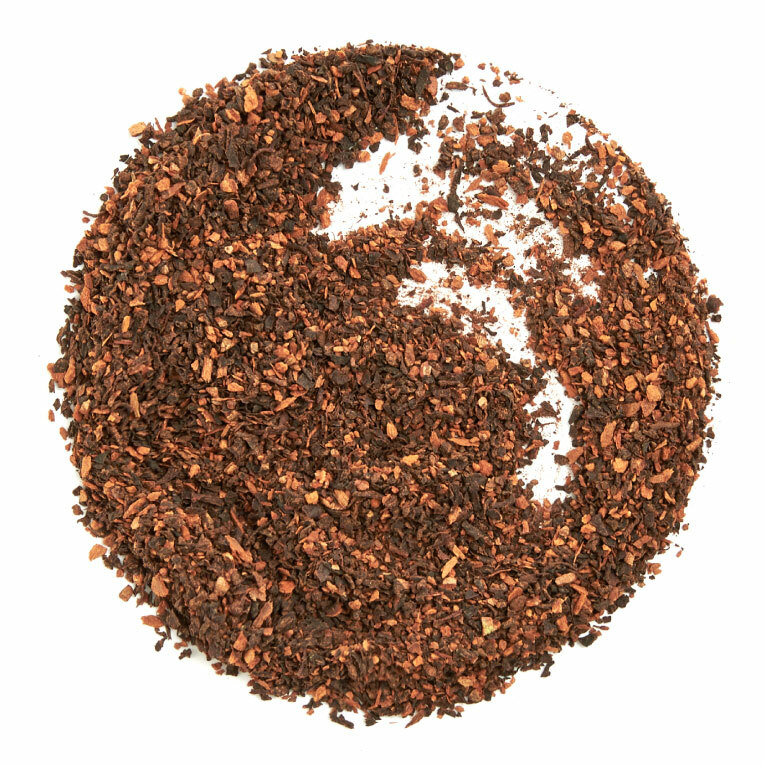 Add 3 Perfect Spoons of Tea Espresso to your portafilter, tamp down and tap gently. 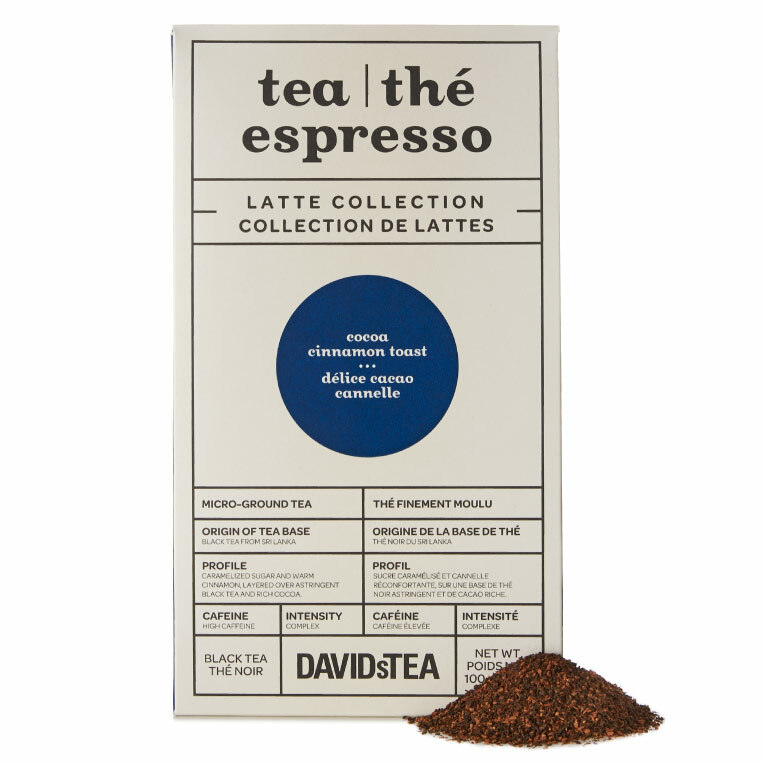 Insert and lock portafilter, then release your Tea Espresso shot (4 oz). Pour the Tea Espresso shot into a 16 oz mug, then top with frothed milk. Fill lower chamber with cold water, insert filter and fill generously with tea. Tightly screw the top on and heat on the stovetop until top vessel is full of Tea Espresso. Pour a 4 oz shot into each 16 oz mug, then top with frothed milk. Add 6 Perfect Spoons of tea and 8 oz of water to the glass vessel and give it a little stir. Cover and infuse for 4-7 minutes, then press plunger down to stop steeping. Pour Tea Espresso into two 16 oz mugs then top with frothed milk.